Inovonics is the leading wireless technology manufacturer in the senior living industry. 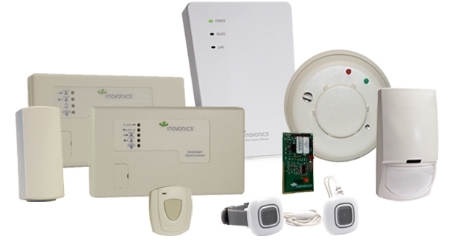 The best-selling Inovonics line of wireless pendants and network infrastructure helps emergency call system providers deliver effective and innovative solutions for senior living communities. Senior living communities face unique and critical challenges in ensuring resident, visitor and employee safety. Each property has different needs based on the level of care offered and the size of the community. To help tailor the optimal wireless network for any senior living environment, Inovonics offers emergency call system panic buttons, pullcord notification, environmental monitoring and overall life safety protection. The Inovonics UL 2560 certified EchoStream network is reliable, flexible and scalable, providing complete campus coverage, enhancing resident satisfaction, improving staff productivity and ensuring that the e-call system provides timely responses to resident needs.